Download the ebook from here for all tips and tricks to get instant adsense approval for password mail me. Hello friends my name is Shubham Pandey the founder of Tech terrane the tech blog. 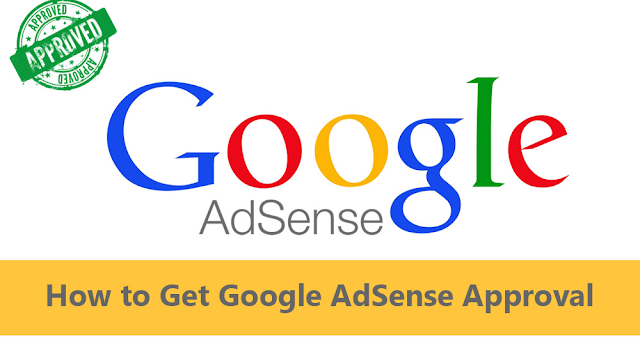 Today we are going to discuss the Adsense Cheat sheet- How to take approval in few days. Today every website owner wants monetize his blog/websites there are many options are available to monetize your site/blog nut the Google AdSense is the best option available in the them. Google AdSense is one of the very trusted monetization platform and its payout is very high than any of the available monetization platform. How to get Adsense account : approval for BlogSpot bloggers, getting an AdSense approval is not that easy.Google AdSense have some strict account approval policies, and one of them is blog should be six months old. But I have an trick to take approval in just few days. Though, it’s not always true, and if you have created a quality Website, you can get an approved AdSense account easily. The major problem is for BlogSpot bloggers, for some reasons Google AdSense, doesn’t entertain BlogSpot bloggers. One of the most common reason BlogSpot bloggers get is Issue with page type. Before you sign up Lets talk about Eligibility to participate in AdSense. While we can’t say whether your site would be eligible without fully reviewing your application, there are a few things you can check before applying to see if your site would be a good fit with AdSense.  Do you have your own site?  You’ll need one to participate in AdSense. Read our tips for creating great content so you’ll attract users and advertisers to your site.  Note you must have access to edit the HTML source code of the site you submit for AdSense. If you submit a site you don’t own (for example, www.google.com), you won’t be able to place the AdSense code on the site and your application will not be approved.  Does your site comply with our program policies? Check that your site complies with our program policies before submitting your application. Keep in mind that we may change our policies at any time, and per our Terms and Conditions, it’s your responsibility to keep up-to-date with them.  Has your site been active for at least six months? In some locations, we may require your site to have been active for at least six months before it will be considered. We’ve taken this step to ensure the quality of our advertising network and protect the interests of our advertisers and existing publishers.  Are you at least 18 years old? As noted in our Terms and Conditions, we can only accept applications from applicants who are over 18. When you’re ready, please submit an application. We’ll review your application and get back to you by email within about a week. AdSense works with products such as Blogger and YouTube to allow you to create host partner accounts. To be eligible for a hosted AdSense account via Blogger or YouTube, you must first meet certain eligibility requirements. As soon as your blog or channel becomes eligible for monetization via AdSense, you can apply for a new AdSense account and link these products.